The joint University Research Committee (URC) and Georgia CTSA awards support research focused on translational (T1, T2, T3, or T4) or patient-oriented research. Proposals are reviewed by six broad discipline-based subcommittees - one committee is dedicated to interdisciplinary research. The Centers for Medicare & Medicaid Services (CMS) Office of Minority Health (OMH) is announcing the availability of funds under the Minority Research Grant Program to test promising solutions that close gaps in disparities research. The purpose of the program is to support researchers investigating systems-level solutions to social determinants of health issues that affect patient experiences and readmissions and ultimately health outcomes. The foundation is committed to assisting in impact areas focusing on education, human services and health-related causes around the country. 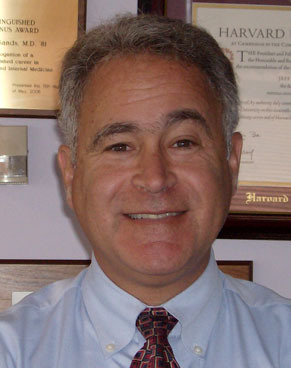 The GGACT cooperative, a collaboration between Boston Children's Hospital, Cincinnati Children's Hospital Medical Center, and the University of California Los Angeles, was established to support investigators in rapidly translating complex gene and cell therapies to early phase, investigator-initiated clinical trials by providing expertise in protocol development and implementation, trial and data management, and regulatory affairs, as well as utilizing established infrastructure for preclinical models of disease and testing, process development, and GMP vector production and cellular manufacturing. Eligible applicants must be faculty at a CTSA institution that has an established pediatric stem cell transplant program. Supports the next generation of creative thinkers with high-risk/high-reward ideas for prevention, diagnosis, or treatment of cancer. Prize for young scientists for outstanding life science research. The AAMC is accepting applications for the course designed for faculty who are working on a K or R NIH grant proposal. The focus is to increase diversity in medicine and science with an emphasis on faculty who are underrepresented in medicine. This one-day intensive workshop offers hands-on guidance and cultivates development through peer-review sessions created specifically to strengthen a proposal. Curious about the business case for your translational science? The Administration for Children and Families, Administration on Children, Youth and Families' Family and Youth Services Bureau announces the availability of funds. The program works to establish or strengthen community-based programs that meet the immediate needs of runaway and homeless youth up to age 18 years of age and their families. At the UGA IACUC Town Hall, you will learn how to write Animal Use Protocols and amendment forms that will minimize review time, streamline the protocol writing process, and manage protocols after approval-i.e. renewals and amendments. The conference hosted by the Petrock College of Health Sciences at Bethune-Cookman University, Daytona Beach, FL will provide a forum for discussion of approaches to addressing health, economic, housing, and environmental disparities in our communities. Stakeholder engagement should be strategic and involve the appropriate participants throughout the research process. The speaker will describe the framework for stakeholder engagement within the CTSA Trial Innovation Network. The framework will define engagement principles, outline the emerging stakeholder engagement plan and define engagement pathways for those who are interested in connecting with patients, providers, and the general public.